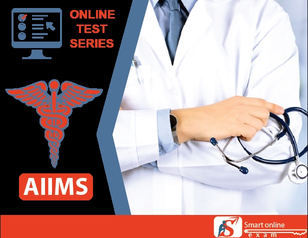 AIIMs is a national level undergraduate medical entrance exam conducted by the Aiims Institute of Medical Sciences. AIIMS campuses located at Bhopal, Bhubaneswar, Jodhpur, Patna, Raipur and etc. AIIMS has constantly been ranked at the top as compare to other medical colleges of the country. The (AIIMS) medical science is mainly approached because aiims witness patients from different locations around in the world. AIIMs is globally renowned and recognized for its technology driven approach. This makes AIIMS is the dream college for all the medical aspirants of the country. The institute was established in 1956 in Delhi and now it runs in seven more locations across the country namely Rishikesh, Jodhpur, Bhubaneshwar, Jhajjar, Patna, Raipur and Bhopal. AIIMS offers different- different best-in-class medical graduation and post-graduation courses. The AIIMS exam will be conducted through CBT (computer based test) in different-different cities. Zoology : Anatomy and Physiology, Developmental Biology, Diversity of Animal Life, Genetics and Evolution (Fundamentals only): (symbiosis), Histology and Reproductive System. Botany : Absorption and cell water relations, transport of water and minerals, Anatomy and Physiology of Plants: Meristems-Plant growth and development, Botany and Human Welfare, History, Importance, Factors and mechanism, Internal and external regulators of growth and development in plants, Internal structure of dicot and monocot leaves photosynthesis., Internal structure of dicot and monocot roots, Internal structure of stem and secondary growth, Transpiration and respiration, Tropic and turgor movements and Xylem and Phloem-their cell elements and functions. Circular Motion, Electricity, Electro-Magnetic Induction, Electronic Devices, Kinetic Theory of Gases, Measurement, Motion, Nuclear Physics, Physics of the Atom: Thermodynamics: Work and heat, first law of Thermodynamics., Solids and Wave Motion: Optics. Solid State, Solutions, Electrochemistry, Chemical Kinetics, Surface Chemistry, General Principles and Processes of Isolation of Elements, p- Block Elements, d and f Block Elements, Co-ordination Compounds, Haloalkanes and Haloarenes, Alcohols, Phenols and Ethers, Aldehydes, Ketones and Carboxylic Acids, Organic Compounds Containing Nitrogen, Biomolecules, Polymers and Chemistry in Everyday Life. Current Affairs, Business, Punch line of companies, Top officials of big companies, Major corporate events, Famous award and prizes, World Records, Books and authors, Science, History, etc. Candidates should carry admit card, ID proofs and one photograph to appear in the examination. No candidate will be allowed to enter the examination hall without a valid admit card and ID proof. Candidates are advised to reach the examination centre at least 30 minutes before the exam time depending on the slot they have been allotted. Candidates will be subject to various mandatory pre-examination activities such as biometric capture, photo capture etc. Candidates should not carry wristwatches, cell phones, calculator or any kind of electronic gadgets, Bluetooth devices etc. with them in the examination hall. If any changes need to be made to address, mobile number or Email ID, it should be promptly reported to the Assistant Controller (Examinations), AIIMS, New Delhi. Candidates should not bring pen/pencil to the examination hall. Pen will be provided by the examination authority at the examination centre for completing examination formalities and rough work (if any). If a candidate is found to be copying/conversing with other candidates, he/she will be disqualified from taking that examination and the next one or two such examinations according to the nature of the offense. sir apps nhi hai kya?